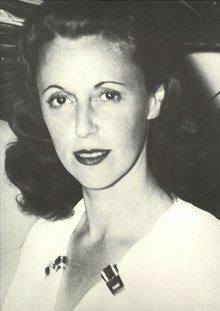 Baroness Kathleen Annie Pannonica de Koenigswarter (née Rothschild; 10 December 1913 – 30 November 1988) was a British-born jazz patron and writer. She was a leading patron of bebop music. She was a scion of the prominent Rothschild international financial dynasty. Kathleen Annie Pannonica Rothschild was born in December 1913, in London, the youngest daughter of Charles Rothschild and his wife, Hungarian baroness Rozsika Edle von Wertheimstein, daughter of Baron Alfred von Wertheimstein of Transylvania. She was born into a branch of the wealthiest family in the world at the time. Her paternal grandfather was Nathan Rothschild, 1st Baron Rothschild. She grew up in Tring Park Mansion as well as Waddesdon Manor, among other family houses. The name "Pannonica" (shortened to "Nica" as a nickname) derives from Eastern Europe's Pannonian plain. 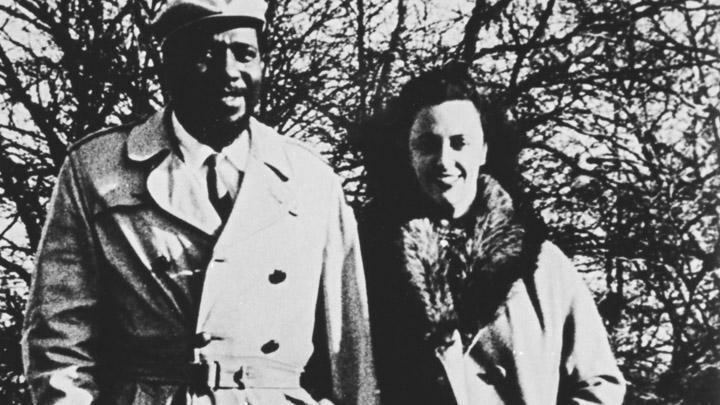 Her friend Thelonious Monk reported that she was named after a species of butterfly her father had discovered, although her great-niece has found that the source of the name is a rare kind of moth, Eublemma pannonica. She was a niece of Walter Rothschild, the 2nd Baron Rothschild, and her brother Victor Rothschild became the 3rd Baron Rothschild. (According to thepeerage.com, she was granted the rank of the daughter of a baron on 15 March 1938.) Her elder sister Dame Miriam Rothschild was a distinguished scientist and zoologist. In 1935 she married French diplomat Baron Jules de Koenigswarter, later a Free French hero. They lived together in a château in north-west France. She worked for Charles de Gaulle during World War II. The couple separated in 1951 and she moved to New York City, permanently renting a suite at 995 Fifth Avenue, and leaving behind five children. As a result of their separation, Koenigswarter was disinherited by her family, the Rothschilds. The couple eventually divorced in 1956. In 1958, she purchased a house with a Manhattan skyline view, originally built for film director Josef von Sternberg, at 63 Kingswood Road in Weehawken, New Jersey. Koenigswarter died in 1988, aged 74. By her first husband, she had five children, two grandchildren, and four great-grandchildren. She joined the Free French Army to fight against Nazi Germany during World War II. She had refused to participate in the North African Campaign, but she joined clandestinely to fight alongside her husband. The war imposed a suspension of her marital and family duties but she managed to send her children from France to America, secretly moving across continents. 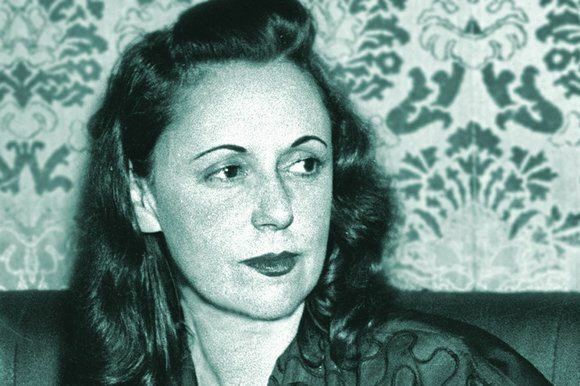 She served as a decoder, driver, and radio host for the Free French. At the close of the war she was awarded by the allied armies. In New York, de Koenigswarter became a friend and patron of many prominent jazz musicians, hosting jam sessions in her hotel suite, and lending them her chauffeur and Rolls Royce when they needed a lift to performances. She is sometimes referred to as the "bebop baroness" or "jazz baroness" because of her patronage of Thelonious Monk and Charlie Parker among others. 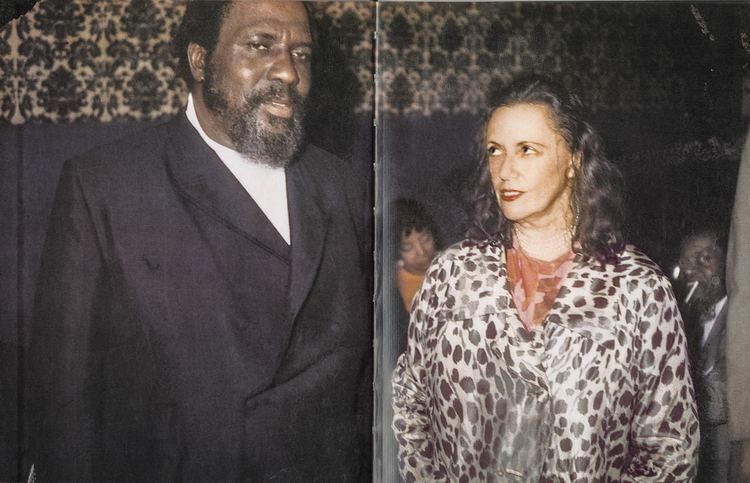 Following Parker's death in her Stanhope rooms in 1955, de Koenigswarter was asked to leave by the hotel management; she re-located to the Bolivar Hotel at 230 Central Park West, a building commemorated in Thelonious Monk's 1956 tune "Ba-lue Bolivar Ba-lues-are". 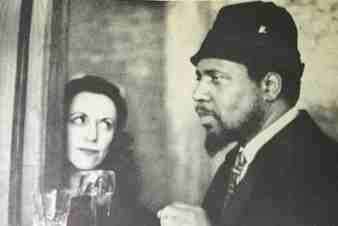 She was introduced to Thelonious Monk by jazz pianist/composer Mary Lou Williams in Paris while attending the "Salon du Jazz 1954", and championed his work in the USA, writing the liner notes for his 1962 Columbia album Criss-Cross, and even took criminal responsibility when she and Monk were charged with marijuana possession by the police. After Monk ended his public performances in the mid-1970s he retired to de Koenigswarter's house in Weehawken, New Jersey, where he died in 1982. There are numerous compositions in her honour. Gigi Gryce's "Nica's Tempo", Sonny Clark's "Nica", Horace Silver's "Nica's Dream", Kenny Dorham's "To Nica", Kenny Drew's "Blues for Nica", Freddie Redd's "Nica Steps Out", Barry Harris's "Inca", Tommy Flanagan's "Thelonica" and Thelonious Monk's "Pannonica" were all named after her. The San Francisco art rock band Oxbow released a recording entitled "Pannonica" (unrelated to the Thelonious Monk composition) with reissues of their 1991 album King of the Jews. In October 2006 the French company Buchet Chastel published Nica's book Les musiciens de jazz et leurs trois vœux ("The jazz musicians and their three wishes"). Compiled between 1961 and 1966, it is a book of interviews with 300 musicians who told her what their "three wishes" would be, and is accompanied by her Polaroid photographs. The book was edited for publication by Nadine de Koenigswarter, whom Nica always introduced to people as her granddaughter but who was in fact her great-niece. An English-language version has appeared in paperback as Three Wishes: an Intimate Look at Jazz Greats. Her photographs were exhibited in 2007 at the Rencontres d'Arles festival (France). Nica was played by Diane Salinger in the Clint Eastwood film Bird (1988). 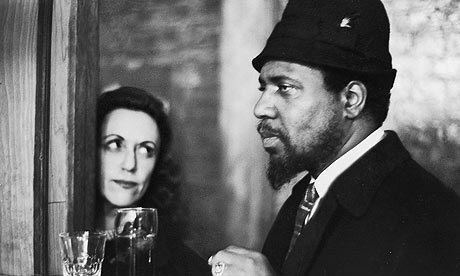 In the Eastwood-produced film Thelonious Monk: Straight, No Chaser (1988) she is seen in library footage and heard in an interview. In April 2009, a television portrait entitled The Jazz Baroness written and directed by her great-niece Hannah Rothschild, was broadcast on the television channel BBC Four. repeated on 19 February 2012. It was broadcast in the U.S. by HBO on 25 November 2009. A radio documentary by Rothschild of Nica, The Jazz Baroness, was broadcast on BBC Radio 4 on 12 February 2008. Rothschild has also written the biography detailed below.